One of the hottest trends in housing is the revival of multigenerational living. More generations living together can be beneficial for all involved, especially when help is needed for child or elder care. Not only are families coming back together again, but also twenty-somethings are now staying home longer. Both of these trends are part of a nationwide shift to the reuniting of extended families. Since 1990, the number of multigenerational households has grown by approximately 40%. There are now some 50 million Americans (greater than 16%) living in such households around the country. With life expectancies increasing, baby boomers retiring, and pension funds failing, these numbers will only continue to accelerate. A Pew Research analysis of Census Bureau data shows that the share of Americans living in multi-generational family households is the highest it has been since the 1950s, having increased significantly in the past five years. 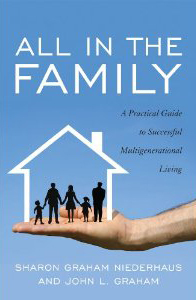 All in the Family: A Practical Guide to Successful Multigenerational Living, by Sharon Graham Niederhaus and John L. Graham, offers positive commentary and solutions based in part on interviews with over 100 people. This is a book filled with ideas about how to design your living arrangements to fit your family’s needs in the coming decades. 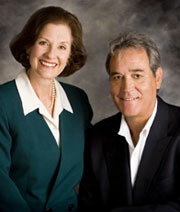 Topics covered include the financial and emotional benefits of living together; proximity and privacy; designing and remodeling your home to accommodate adult children or elderly parents; overcoming cultural stigmas about independent living; financial and legal planning; and making co-habitation agreements. It is our sincere hope that you enjoy our book and can put it to practical use.